Henry Fielding, born in Sharpham, England, was an English novelist that was famous for his dry humor and satirical writing style. His novel The History of Tom Jones, a Founling is his most famous work and what Fielding is truly remembered for, over 250 years after his death. Fielding’s literary career did not start until he moved to London in 1728. He started writing plays and was quite harsh in his depiction of the government at the time, stirring up controversy in London. It is said that the Theatrical Act of 1737 was in direct response to one of his plays. After this Act was passed, there could not be any more political satire in the theatre and Fielding lost his job. He then became a lawyer to support his family. Throughout this time, Fielding continued to publish his political writings under a pseudonym. In 1746, he anonymously published the story The Female Husband, a fictional account of a transvestite conning another woman into marriage. 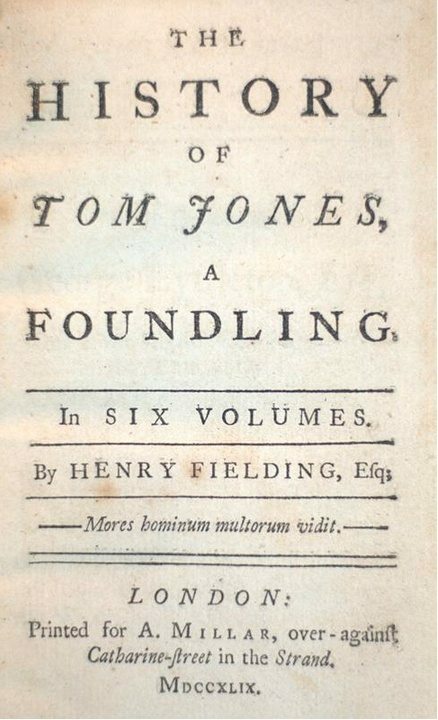 In 1749, Henry Fielding published the novel that would make him famous, The History of Tom Jones, a Foundling. 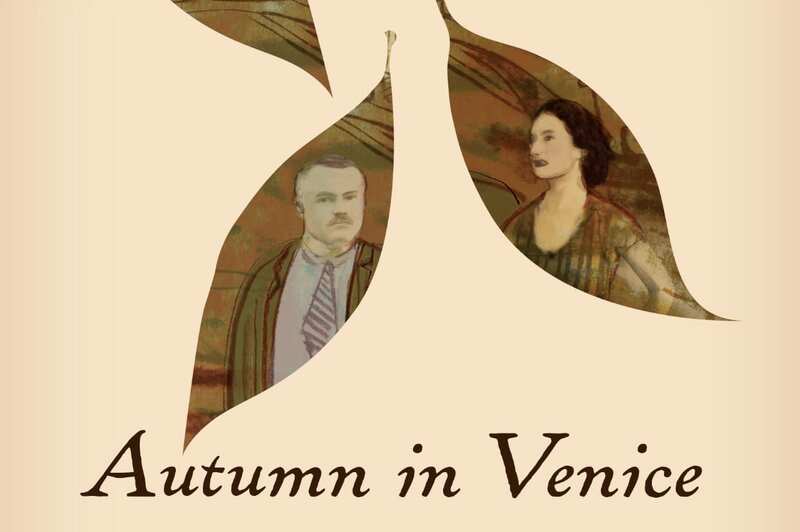 This novel is said to be one of the first English prose works to be named a ‘novel,’ and is a large piece of work divided into 18 smaller books. This comedic novel follows the main character Tom Jones, an abandoned child, who is found by a wealthy member of English society. Tom falls in love with a girl from a higher class and their romance is forbidden, making for both a controversial story and a comment on social norms at the time. 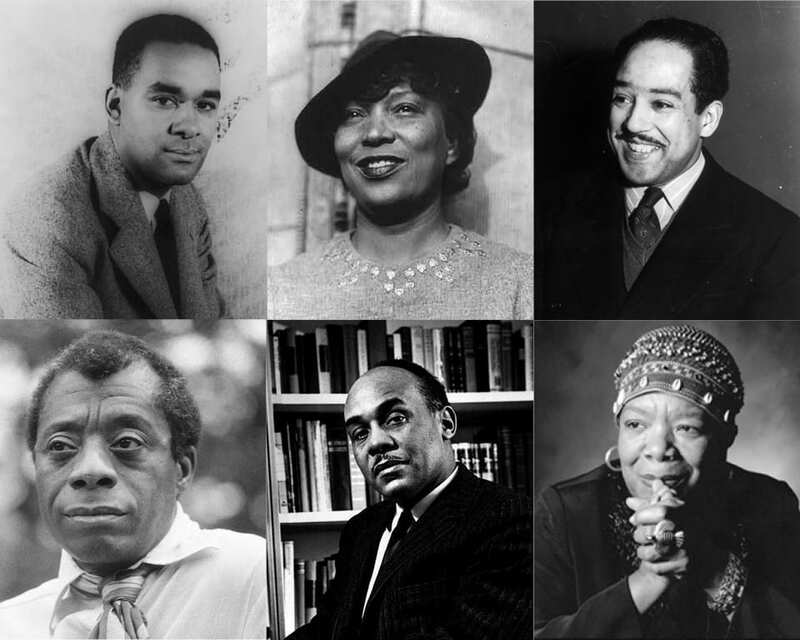 The book touched on matters that had rarely been written about publicly until its time, including prostitution and graphic sexual themes. 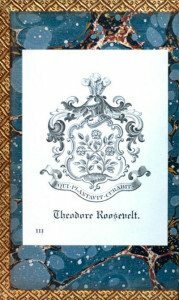 We have a rare First Edition of Tom Jones that once belonged to Theodore Roosevelt and still has his “Qui plantavit curabit” bookplate in each of the 18 volumes. 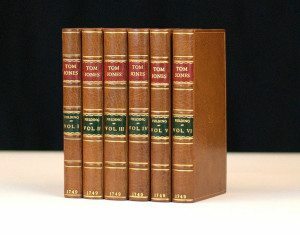 We also have a rare First Edition of Tom Jones that was one of a first printing run of only 2,000 copies with errata leaf in Volume I, the errata uncorrected, and all cancels and final blanks, K12 in Volume I and R12 in Volume IIU (Rothschild 850). This edition is finely bound in full crushed morocco by Bayntun, with red and black morocco spine labels lettered in gilt, raised bands, blind-stamped inner dentelles. 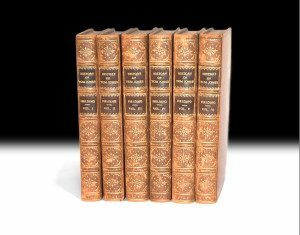 A very nice set of first editions, finely bound by Bayntun. To view all of our works by Henry Fielding, click here. Have you read Tom Jones? Please tell us your experience with this novel in the comments below or on our Facebook Page.